Saffron, saffron crocus, or Crocus sativus is a spice from the Iridaceae family. 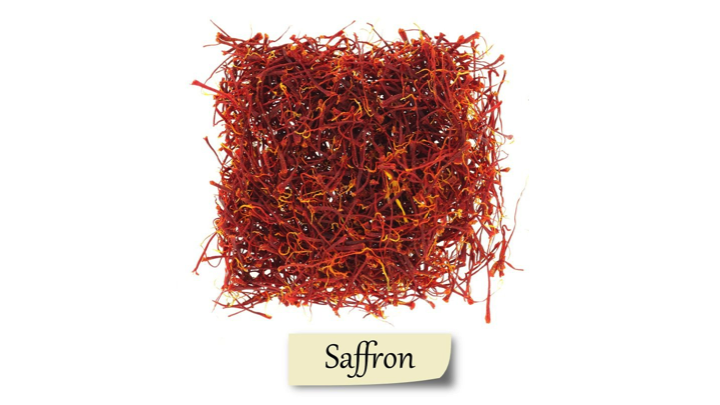 Native to Greece or Southwest Asia, saffron is the world’s most expensive spice by weight. Saffron, saffron crocus, or Crocus sativus is a spice from the Iridaceae family. Native to Greece or Southwest Asia, saffron is the world’s most expensive spice by weight. The rich reddish-yellow color and 150 volatile and aroma-yielding compounds are what makes this spice worth the money. Here are the 7 health benefits of saffron. 1. Saffron extract may help individuals with a neurological disorder. The University of Tokyo reported that saffron extract or its active constituents, crocetin and crocin, may have benefits for people, who suffered from neurodegenerative disorders accompanying memory impairment. Also, in mice, saffron extract improved ethanol-induced impairments of learning behaviors and prevented ethanol-induced inhibition of learning and memory abilities. 2. Saffron may help with depression. Several clinical trials have shown promising evidence that saffron could be an antidepressant. 3. Saffron could help treat cholesterol. A study from the Nanjing Normal University suggests that the active constituent crocin decreased cholesterol, triglyceride and density lipoprotein levels and increased the content of high-density lipoprotein in rats with high cholesterol. 4. Saffron may help with oxidative stress. A study showed that rats injected with saffron or crocin were less likely to have impairment of learning and memory as well as the oxidative stress damage to the hippocampus induced by chronic stress. 5. Saffron may help treat cancer alongside regular medical treatment. Crocetin, found in saffron, has shown to be an anti-tumor agent in animal models. The constituent hinders growth factors of cancerous cells and induces cell death. 6. Saffron may help protect your eyes. Recent studies from the University of L’Aquila has shown that dietary supplementation of saffron may counteract the effects of continuous light exposure in the albino rat retina. 7. Saffron can help boost the immune system. Fighting infections in wounds, elevating mood, inducing sleep, and modulating hormonal activity are a few ways saffron helps boost the immune system of individuals. Maccarone, R., Di Marco, S., & Bisti, S. (2008). Saffron supplement maintains morphology and function after exposure to damaging light in mammalian retina. Investigative ophthalmology & visual science, 49(3), 1254-1261. Abe, K., & Saito, H. (2000). Effects of saffron extract and its constituent crocin on learning behaviour and long‐term potentiation. Phytotherapy Research, 14(3), 149-152. Sarris, J., Panossian, A., Schweitzer, I., Stough, C., & Scholey, A. (2011). Herbal medicine for depression, anxiety and insomnia: a review of psychopharmacology and clinical evidence. European neuropsychopharmacology, 21(12), 841-860. Xu, G. L., Yu, S. Q., Gong, Z. N., & Zhang, S. Q. (2005). Study of the effect of crocin on rat experimental hyperlipemia and the underlying mechanisms. Zhongguo Zhong yao za zhi= Zhongguo zhongyao zazhi= China journal of Chinese materia medica, 30(5), 369-372.